Todays Jobcentre demo was I would say very successful. Successful in the fact that we managed to highlight a lot of issues to a larger number of the general public which was due to events that were out of our control. Whilst demonstrating two very rude and aggressive g4s security staff threw a young man out onto the street out of the Jobcentre. The reason why you might ask. 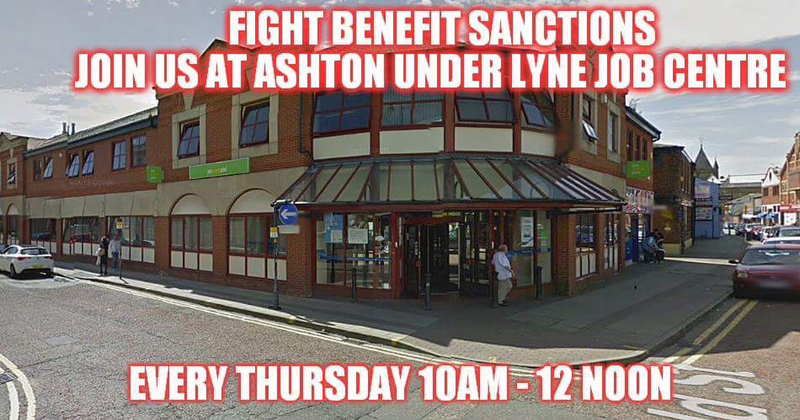 He had attended a funeral that the Jobcentre had allowed (which is the law you are allowed to attend a funeral). The Jobcentre had decided that he was no longer allowed and decided to sanction him for the first time ever for three months. He is the sole parent of his daughter. To add insult to injury they then refused him a hardship form (which he is entitled to by law) and told him he could no longer enter the building. The police then arrived, a van and two cars…. 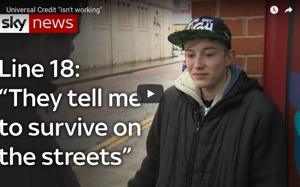 They then tried to get aggressive with us… It didn’t work as the man had calmed down a bit and was trying to phone the Jobcentre up using my phone to get a hardship form. Now that in itself is total madness. The police went inside the Jobcentre and got the required form for him. If we hadn’t had been there then this wouldn’t have happened.. He wouldn’t have got the required form and both himself and his daughter would have gone hungry. Now this is why I campaign and why I and others stand outside the Jobcentre every week. We need to stop this persecution of the poor. Everyone deserves to eat not just the rich. Everyone. A rather poignant song written and performed by Eliza a fellow comrade and friend.